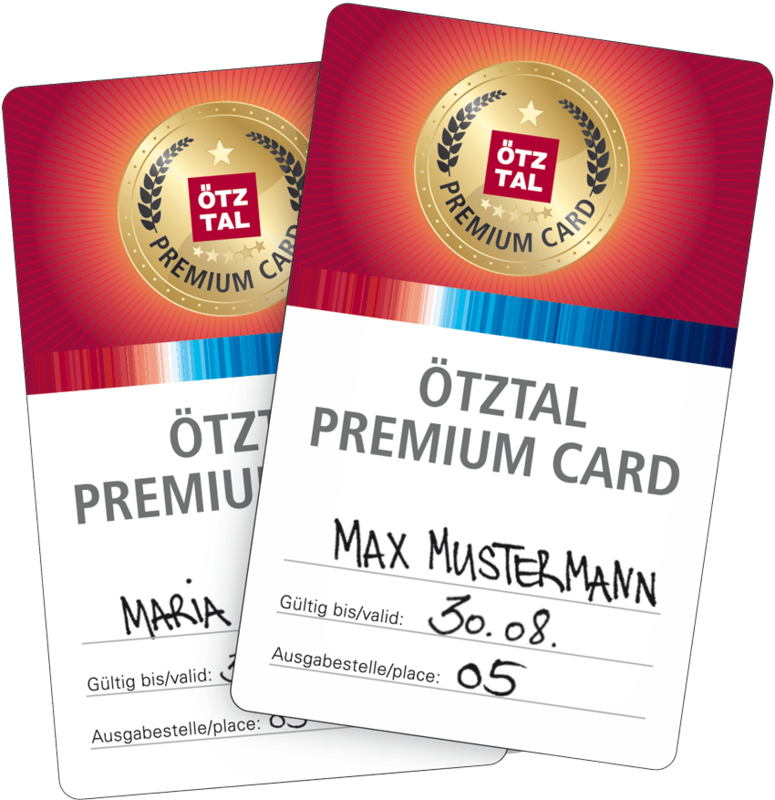 Ötztal Premium Card – One Card has it all. This ultimate holiday Card comprises all highlights in the Ötztal. With us you get the Ötztal Premium Card already included in the price! The Ötztal Premium Card is valid for the duration of your stay (except arrival day). Card holders not only enjoy free use of the summer mountain lifts and public bus lines but also free guided walking tours, admission to museums and swimming baths from the very first moment of their holiday. Visits to the Tirol Therme Aqua Dome Spa Center or the AREA47 (swimming lake with giant water slides, diving platform) are included as well. All services and highlights included! Please note that the services can be used to varying degrees (several times a day, daily or once during your stay).